The art world is buzzing over the announcement from Phillips that Gerhard Richter’s photorealist painting Düsenjäger will be sold at Phillips’ Evening Sale of 20th Century & Contemporary Art. The Seattle Times reports that painting may belong to Microsoft billionaire Paul Allen but Phillips has not confirmed this. 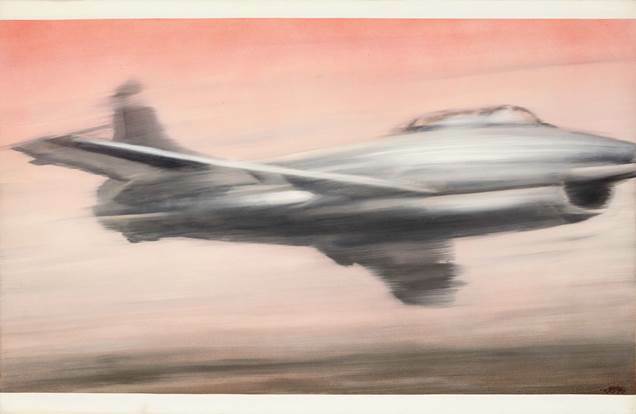 The piece is one of earliest of Richter’s recognized works and was part of the artist’s small and celebrated group of warplane pictures. It is estimated at $25-35 million, was last sold at auction in 2007 by Christie’s where it set a record auction price for the artist of $11.2 million. This painting and his other 1963 warplane painting, Bomber are a reflection of a complex combination of excitement and terror during the Cold War era. Richter grew up near Dresden and viewing World War II through the eyes of a child, war held a lingering fascination and excitement for Richter. 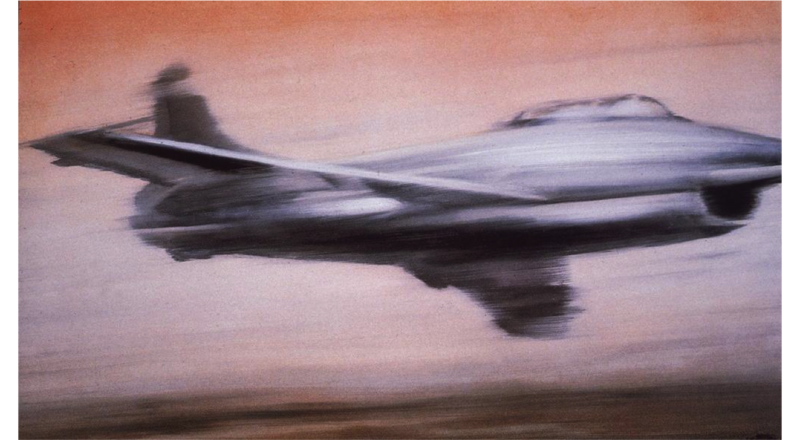 The work is both photorealist but also active through the blurring brushwork which captures the velocity of a military plane in flight. Paul Allen famously sold a Rothko painting at Phillips for $56.2 million (he bought the painting for $34.2 million). Should this painting sell for above its estimate, Allen could see an even bigger payday here.